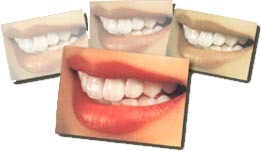 Cosmetic Dentist Santa Monica Dental Veneers Implants Dentistry . Through the latest Dental Implants and Cosmetic Dentistry procedures including Cosmetic Porcelain Veneers Dental Bondings, Inlays, Crowns, Bridges, Teeth Whitening and White Fillings, "You can have your extreme dental makeover and the smile of your dream in as little as a few hours," says Dr Richard Haber DDS, Santa Monica Dentist, who improves teeth by utilizing the latest dental techniques in Cosmetic Dentistry in Santa Monica, California. A full mouth cosmetic, reconstructive, restorative, and implant dentistry . Dr Haber places a very special emphasis on reconstructive, full mouth rehabilitation, cosmetic and restorative dentistry and uses a variety of dental implant technologies. The results leave his Santa Monica patients with permanent, natural-looking, beautiful teeth. 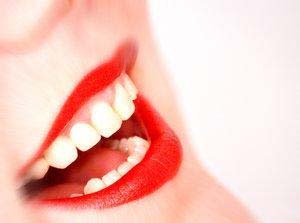 With Computer Imaging, Dr. Haber helps you design the perfect tooth shape and style for your personality and appearance. Our office is equipped with the latest state-of-the-art computer technology which takes pictures from digital cameras and magnifies them eighteen times to show patients how perfect their new smiles will look. 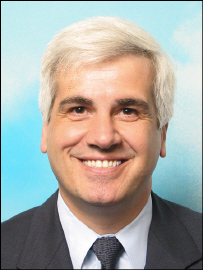 Dr. Haber's computerized digital x-ray require 90% less radiation than normal x-ray . They identify problem areas enabling the patient to see, before treatment, what effective cosmetic dentistry can do to create the new look. Dr. Haber places his cosmetic porcelain veneers so precisely they are undetectable to the human eye. The veneers are bonded tightly to the surface of the tooth and they even provide additional strength to the overall tooth structure. Old, ugly, dull and corroding mercury fillings are easily and effortlessly removed without damaging any of the remaining tooth structure. Dr Haber offers at-home whitening to brighten the teeth, eradicating stains caused by tea, coffee and aging. Dr. Haber's expertise in Cosmetic and Implant Dentistry has greatly improved the lives of his patients in Santa Monica. Dr. Richard Haber is committed to providing you with complete and comprehensive dental care in General and Cosmetic Dentistry. We focus our concerns on your comfort and well being . Thank you for your interest in our Santa Monica practice, and please take a few moments to browse through our site and learn what other services we have to offer.